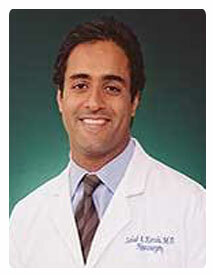 Dr. Kureshi is a board certified neurosurgeon. He has practiced neurosurgery for more than fifteen years in San Diego, joining NMC following his residency at Duke University in North Carolina. Prior to his residency he received his medical degree from the University of Southern California. Dr. Kureshi sees patients in our San Diego office. Dr. Kureshi has privileges at Sharp Memorial Hospital, Sharp Grossmont Hospital, Sharp Chula Vista Medical Center, Scripps Mercy Hospital, Scripps Memorial Hospital, La Jolla and Palomar Medical Center. Pituitary microsurgery, brain tumors, spinal cord tumors and degenerative cervical and lumbar spinal disorders.